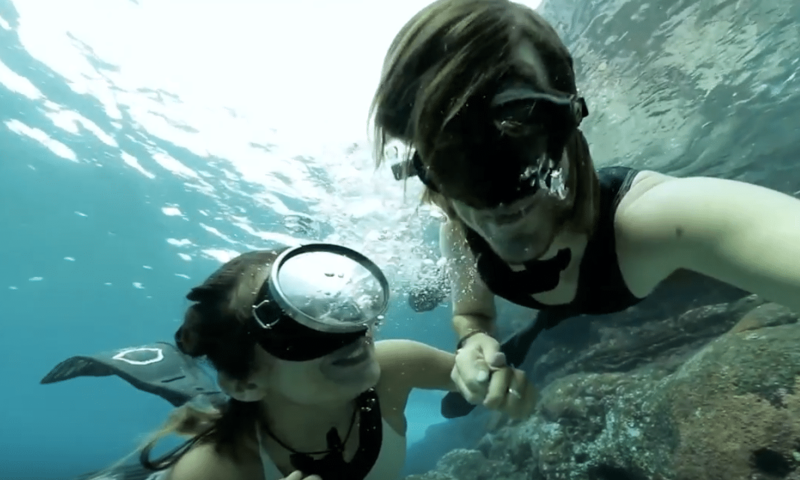 Meet Madison Stewart and Perrin James, a freediving couple who are making a living out of swimming and filming sharks. According to Cosmopolitan.com, the couple spend their time creating content and leading expeditions around the world. A big part of their work is based around conservation and creating content for brands that have a positive ethical stance towards the environment. Stewart, who is Australian, grew up diving and swimming with sharks since she first learned to dive aged 12, while James is American from South Florida. The pair met at a restaurant in Los Angeles Airport (LAX), and since then their adventures have taken them around the world. The couple have continuously shared their passion for freediving with sharks on Instagram, and it has made them stars. They now organise trips, and shoot videos around the globe, while not forgetting to indulge in their passion for diving with sharks on a regular basis. You and Check out James’s Instagram, or Stewart’s Instagram here. Check out some of James’s work below.